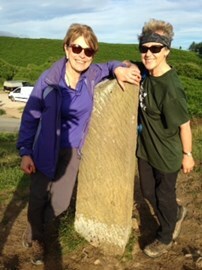 Julie Wallin, Commercial Director, has been fundraising for Herriot Hospice Home Care - since she first completed her initial Lyke Wake Walk she has raised a substantial amount of money. Not wanting to do the same walk twice, she decided to mix things up a bit by doing the walk in reverse, from Ravenscar. 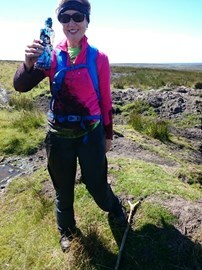 She completed the 40 mile walk in 16 hours - however, just 6 miles before the end Julie had an unfortunate accident and slipped into a bog! Many would have given in at that point, but Julie continued and ended the walk with a smile!